The other day as I was working in the garden, in the smoke, I happened to look up at the sky. There above me, floating in circles, was a large bird. 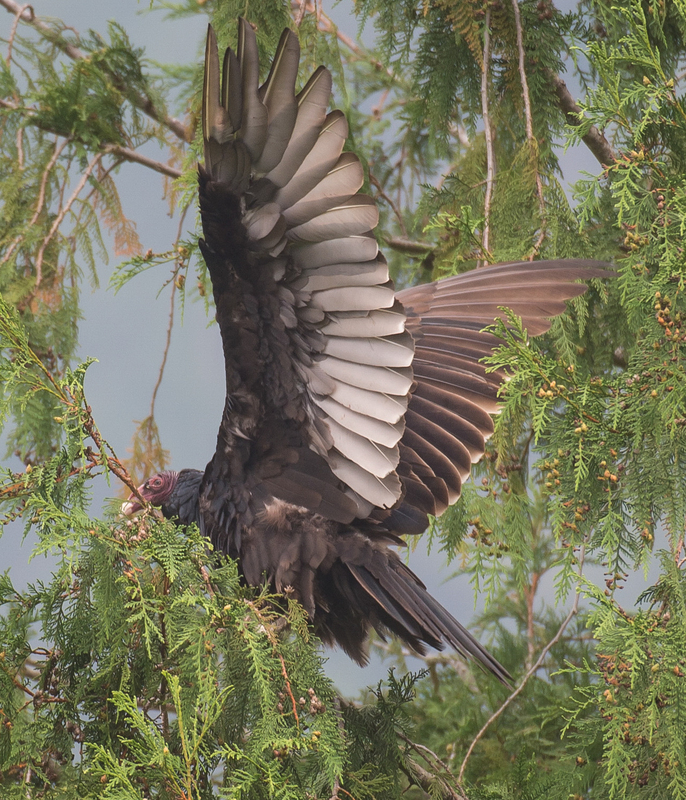 A large bird with a very wide wingspan. 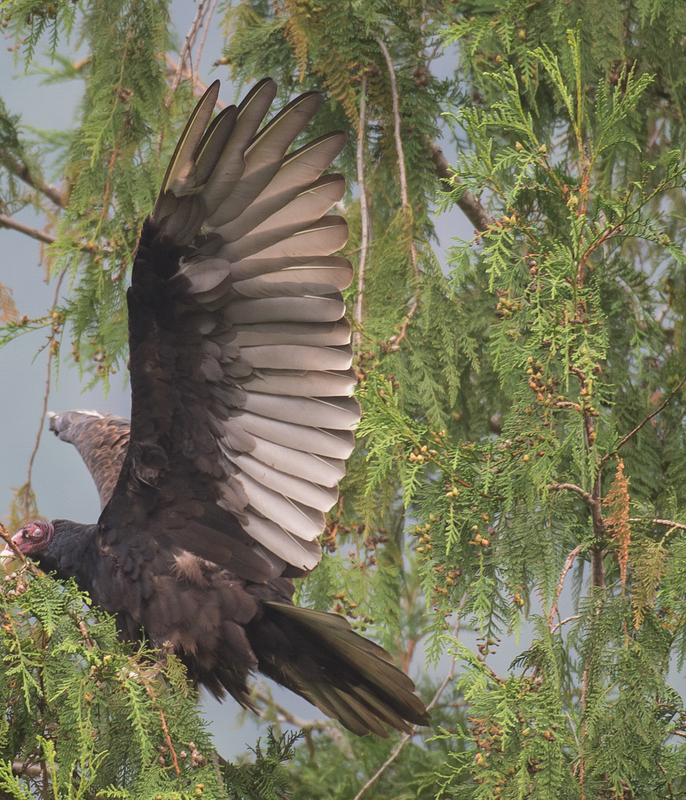 It circled slowly, rather lazily, above me moving to the south with each round. I immediately wondered what had died in the woods. 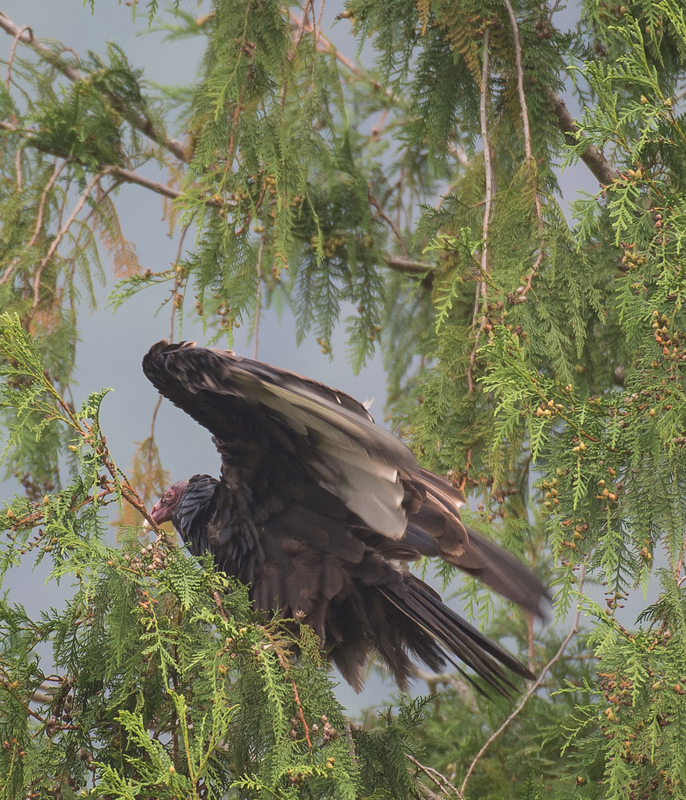 Because, of course, it was a turkey vulture. Then I wondered if it was waiting for me to keel over from the smoke. 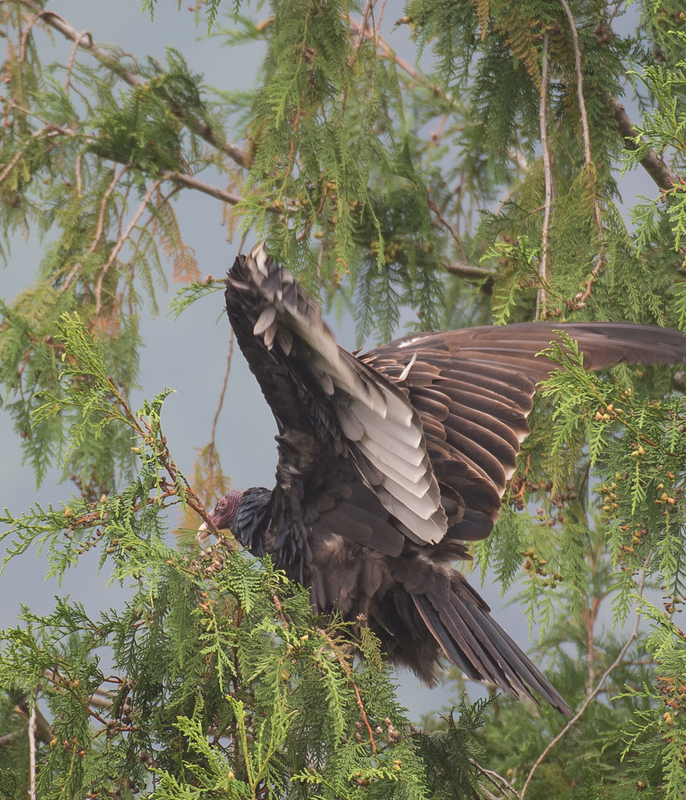 The very next day, I spotted three turkey vultures on a couple of trees. I stopped and caught these photographs. 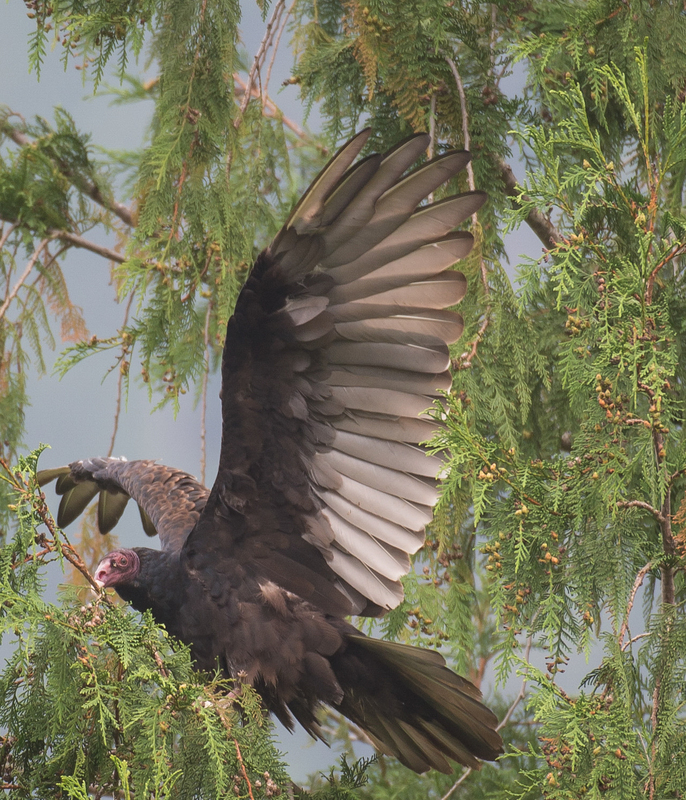 Turkey vultures, while looking ugly from the neck up, have amazingly long and beautiful wings. 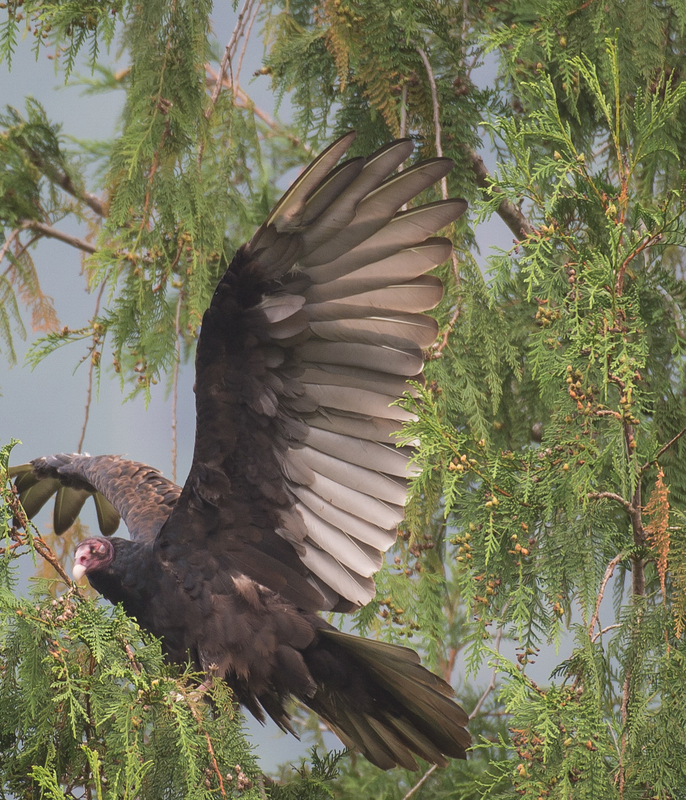 These photos hopefully will show you the beauty of this much maligned bird. 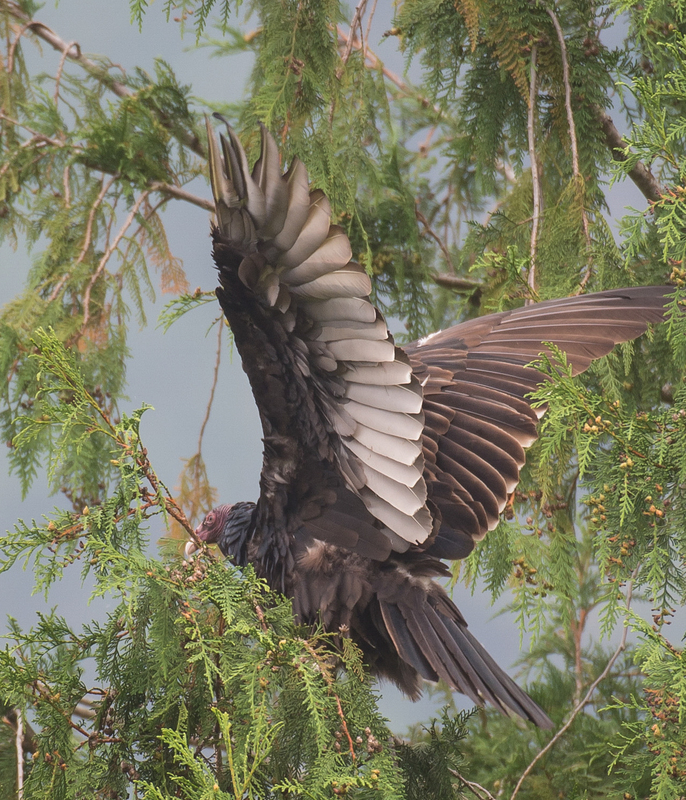 Granted a carrion bird, but necessary.